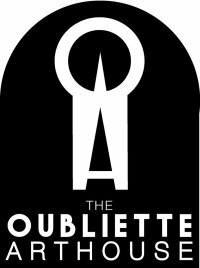 Remember the Oubliette Collective? They created an Arthouse in the shell of a building in Waterloo back in May. Since then, they've moved onto Mayfair, where they're occupying two six-storey former embassies. They found time to create the Fifth Plinth as a riposte/tribute to Gormley's Traf Square efforts whilst continuing negotiations with the proprietors of larger, more suitable properties where they hope to make a more permanent creative home. However, they're due in court on the 21st of September to defend their current occupation of 42-43 Hertford Street. To make the two weeks preceding the court case a bit more exciting they're doing something rather imaginative to raise awareness of their plight and bring some arthouse entertainment to all and sundry. They've been on the scout for visual artists, performing artists, bands, orchestras, cinema groups, spoken word, catwalkers, burlesque, painters, workshops, debaters - you name it - to populate a series of events for the general public starting this Friday, 11 September, 2pm till 11pm right up until the court date. Watch this space for the schedule or subscribe to their podcast for news. On top of all that, they're thinking to the future and recruiting to their own collective, augmenting their considerable artistic and DIY handy resources for the next move. Interested? Find out more and get in touch via their Facebook group.